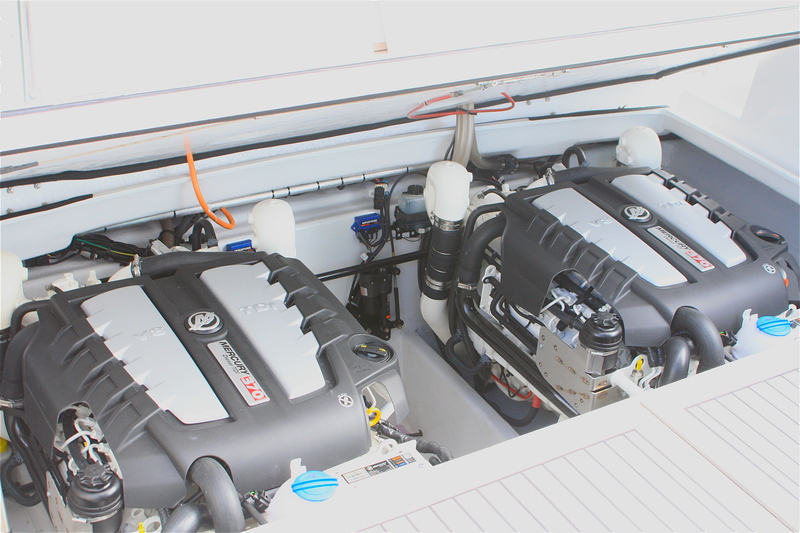 Exchanging his Rayglass 4000’s original 320hp Cummins Mercruiser diesels for a pair of new V8 VW TDis has “completely transformed” his vessel says owner Keith Andrews. The new 370hp horsepower V8s were installed as part of a major refit undertaken by the Rayglass Service Centre in Mt Wellington, Auckland. However, it is the addition of the first twin VW V8 diesels in New Zealand that has made the most difference. “We now cruise at 27 knots at 3000rpm while using a total of just 70 litres per hour,” says Keith Andrews. “That’s a good five knots faster and the ride is quieter, smoother and more comfortable. He says an added bonus is that he no longer has to apply fore and aft trim. Keith Andrews is also enjoying the larger alternators that come with the new engines. He is also impressed with the instrumentation that comes with the V8s.